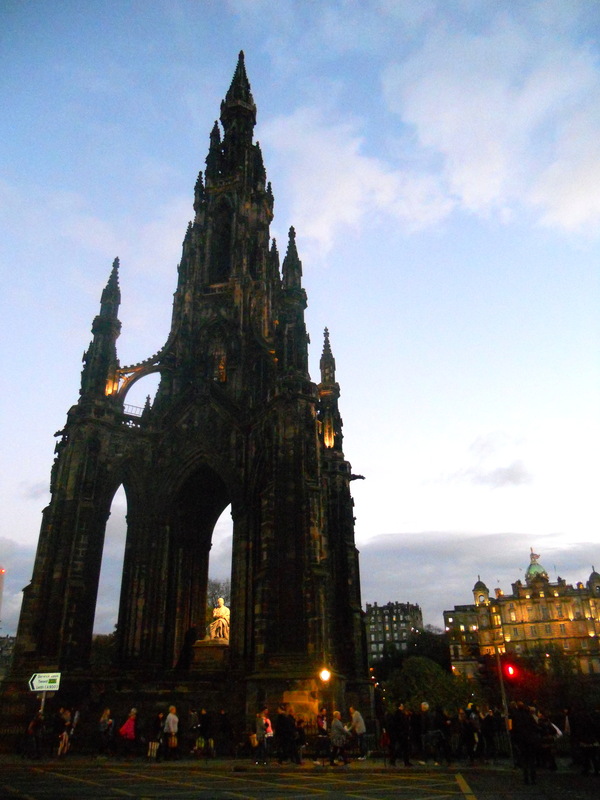 This past weekend I took a short trip to Edinburgh, Scotland with my friends Raleigh and Kelly. 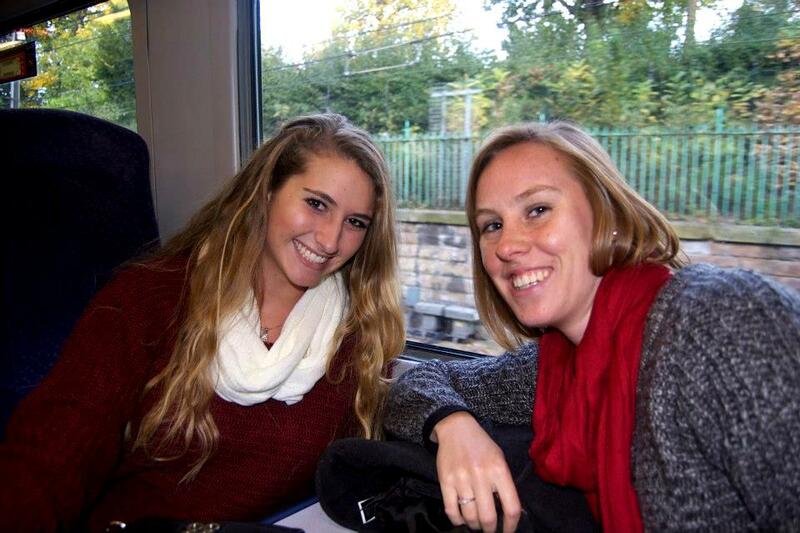 We woke up at 3:30 AM to catch a bus from Roehampton to Baker Street in Central London, and then the easyBus from there to Stanstead London airport. 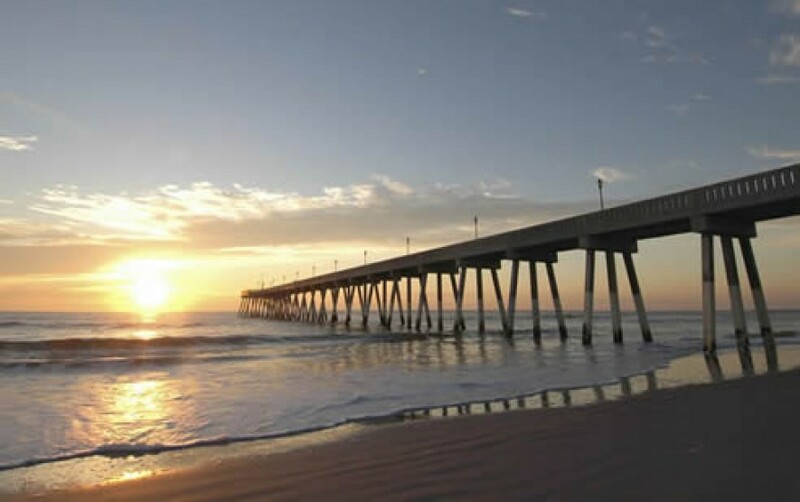 It was quite an early morning, and we made it to the airport in time to see the sunrise. Since it was only a short weekend trip, we didn’t have to bring much at all and I squeezed all my stuff into only a backpack. Plus, easyJet and Ryannair flights only allow really small pieces of luggage to carry on, or else you have to pay like 40 pounds extra. I’m already nervous about having to pack for my 11 day reading week trip and squeezing everything into a tiny duffel bag! 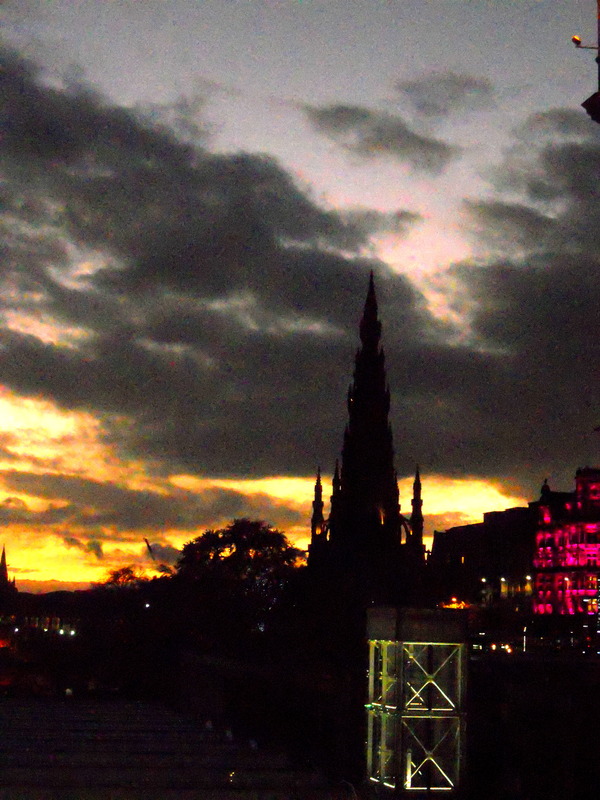 Anyway, our flight was a quick and simple hour in the air, and before we knew it the three of us were on the ground in Scotland. We took a short bus ride from the airport into the main part of the city, hopped off, and found an adorable café to eat breakfast because we were starving by then. 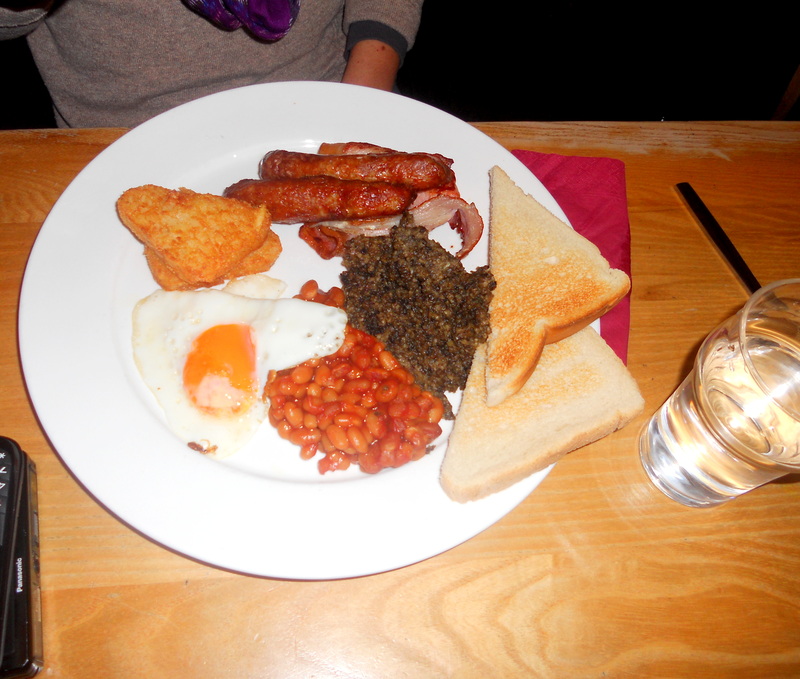 Kelly ordered the traditional Scottish breakfast, which is almost exactly like an English breakfast, but with the addition of Haggis (I will explain that a little later on). 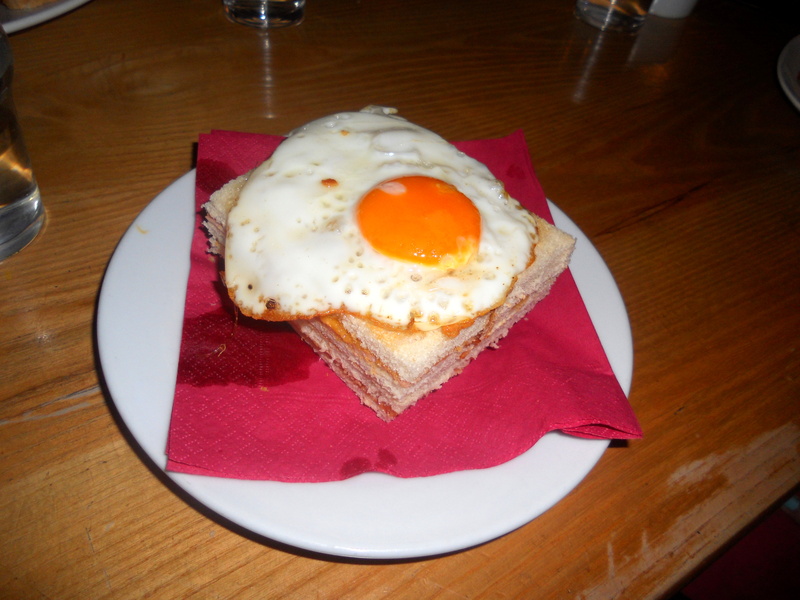 I got a delicious ham and cheese sandwich with a fried on top! With full stomachs and droopy eyes, we found our hostel after a short five minute walk… keep in mind we did ALL of that travelling and managed to get to our hostel on Friday morning at 11:00 AM. Impressive stuff. Because our room wasn’t available at check in, our hope to lie down for an hour was quickly crushed, and we ventured back out into the city. 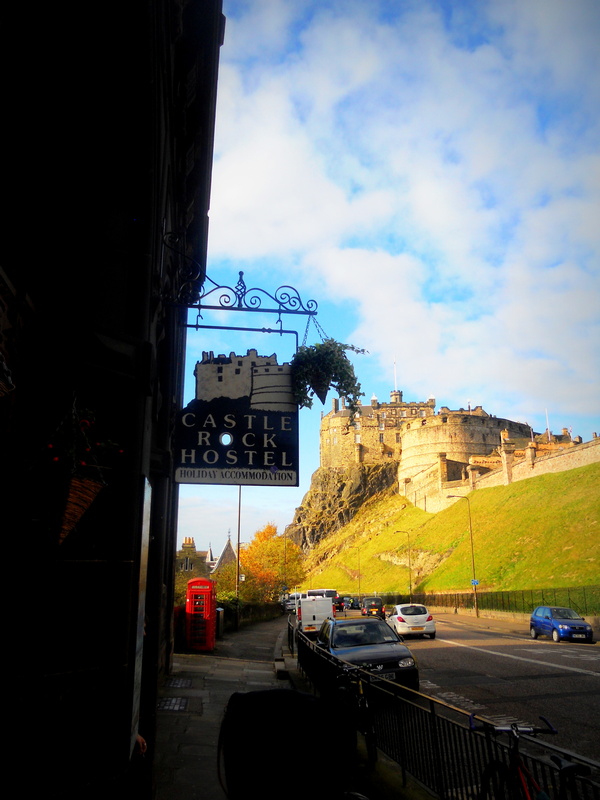 The hostel we stayed at was called Castle Rock Hostel and it was such a cool place. For some reason it seemed kind of hippie-ish to me, with weird paintings on the walls and all sorts of various strange decorations. 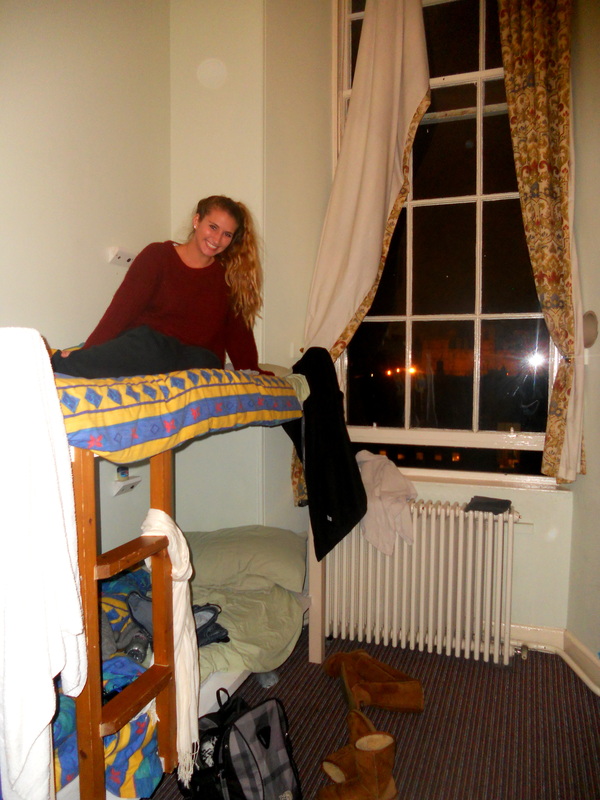 There was a range of all different kinds of people staying there, but we finally got put in a room later that day with ten beds, which were occupied with at least four other Americans which was really awesome. 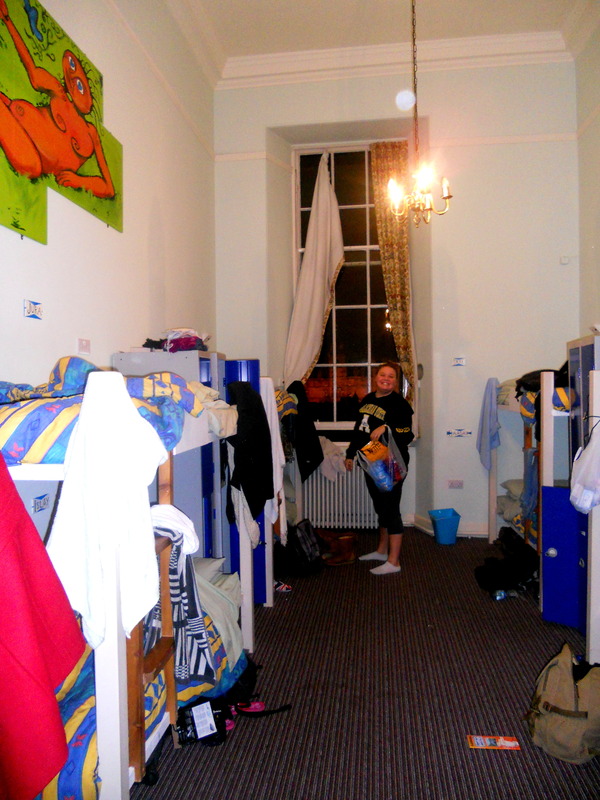 The hostel had a big “backpacker” kind of vibe and was just really chill, colorful, and fun. 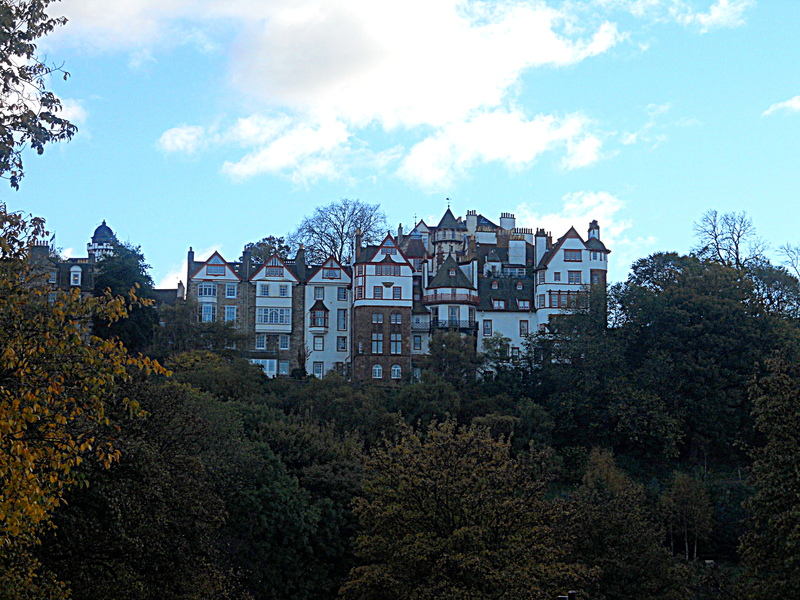 The hostel was also in a perfect location. 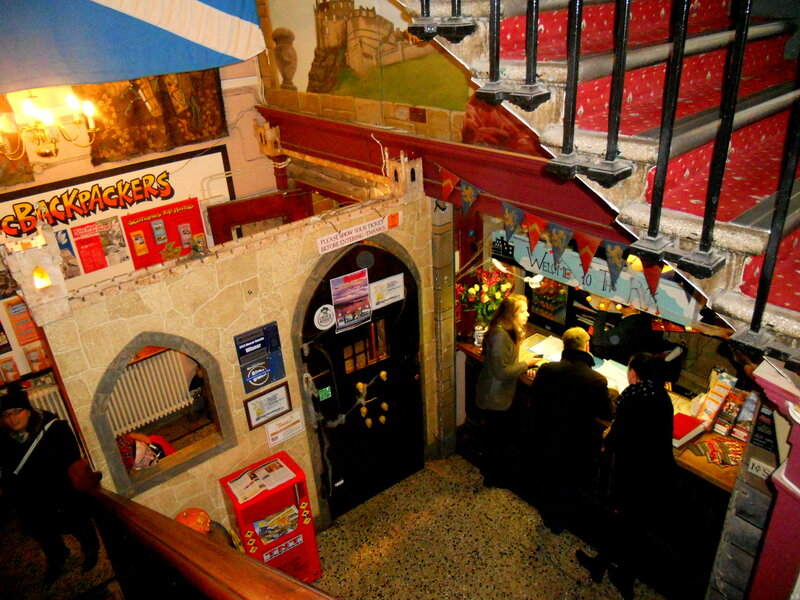 It was literally RIGHT next to the breathtaking castle and also only a minute’s walk away from two main roads of restaurants and shops. 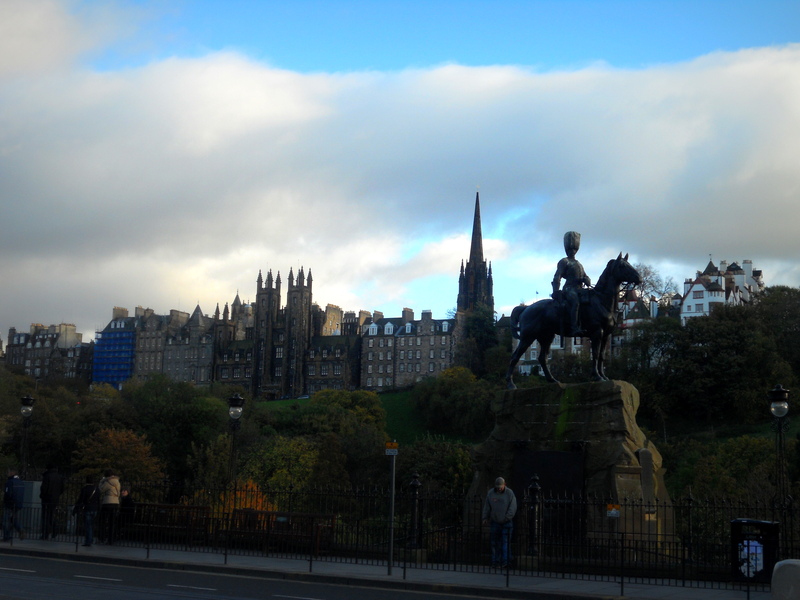 Edinburgh itself isn’t the biggest city ever, although it is the capital of Scotland, but it was the perfect size to explore for just a weekend. 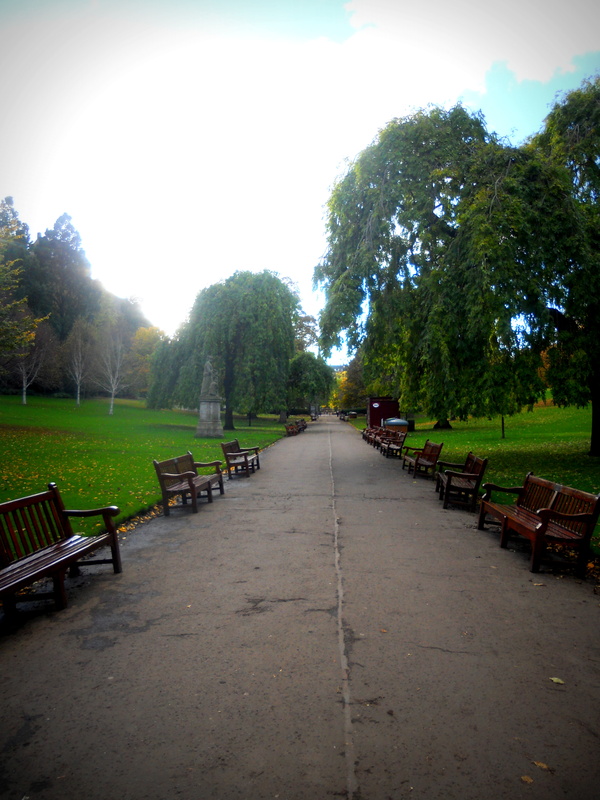 I also liked that it wasn’t too big so we had the opportunity to walk everywhere we wanted. 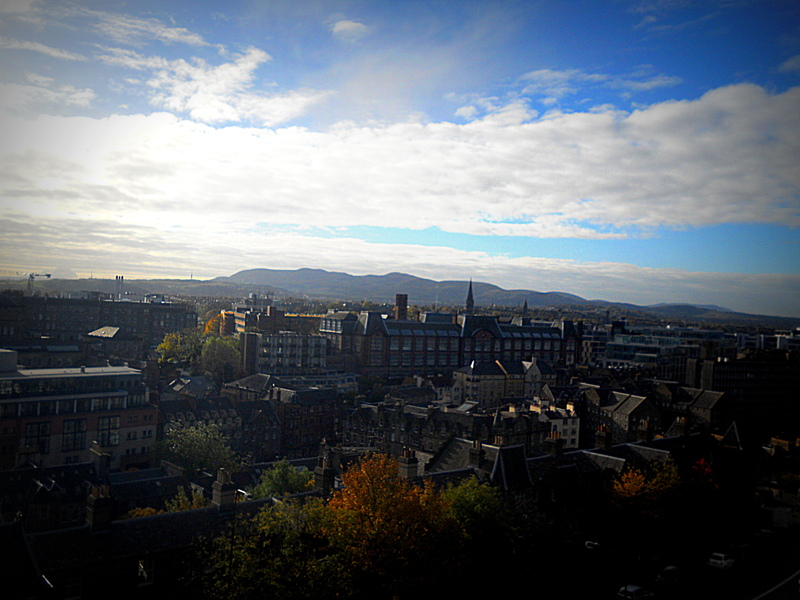 So we continued to explore Edinburgh ourselves that morning, walking up to the castle (which is actually above a volcano) and taking pictures with the amazing view at the top. 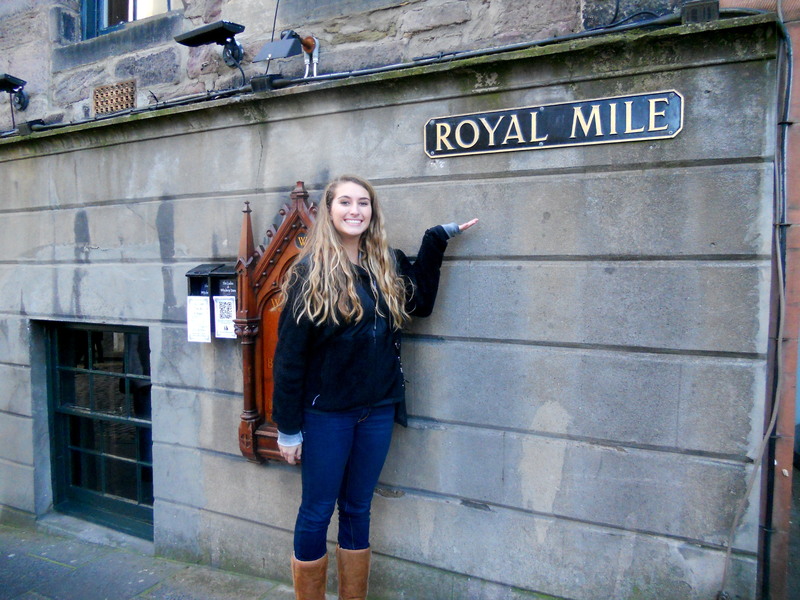 The road leading up to the castle is called “Royal Mile,” which we also walked down and stopped in many little shops with souvenirs and Scottish things. 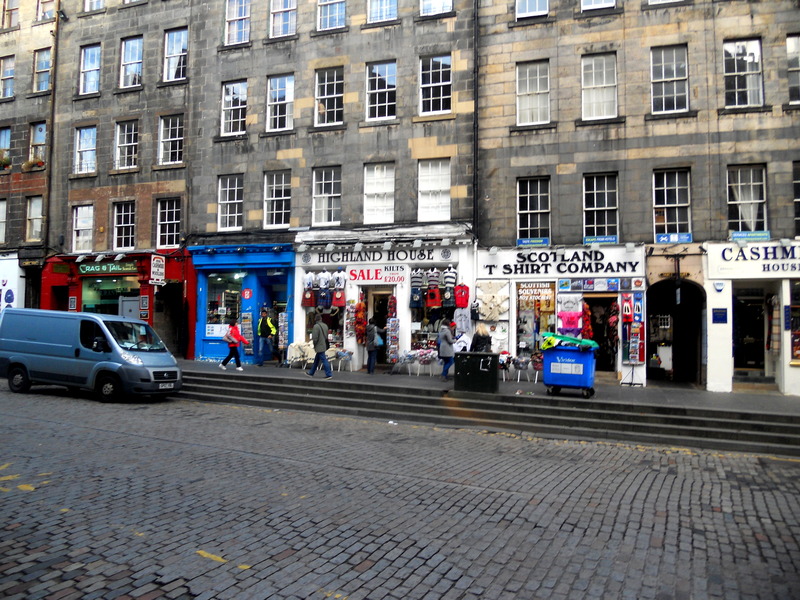 Almost all the shops sold different variations of the same things: postcards, Union Jack printed items, cashmere scarves & gloves, hats, earmuffs, knitted sweaters… that kind of stuff. 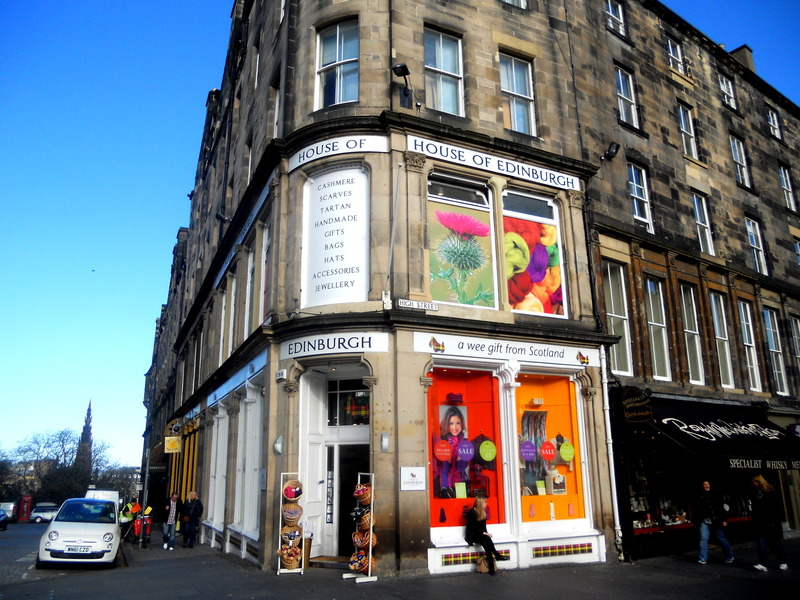 They also really played up the Scottish phrase “wee,” meaning little/small, and so many stores had the sign “a wee gift from Scotland.” Scotland is also known for its whisky (spelled with no “e”), and the Royal Mile even had its own Scotch & Whisky Experience attraction. 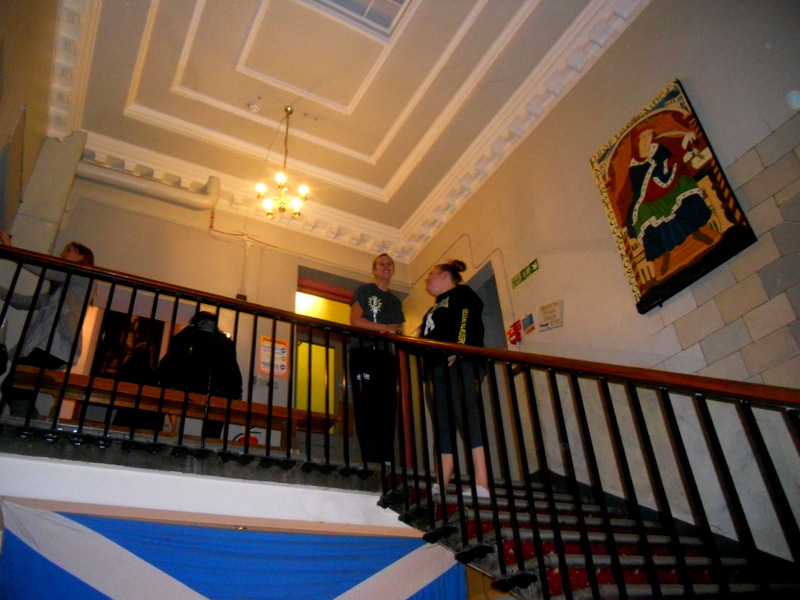 There were so many places selling items with the tartan print (or plaid-like design we know). 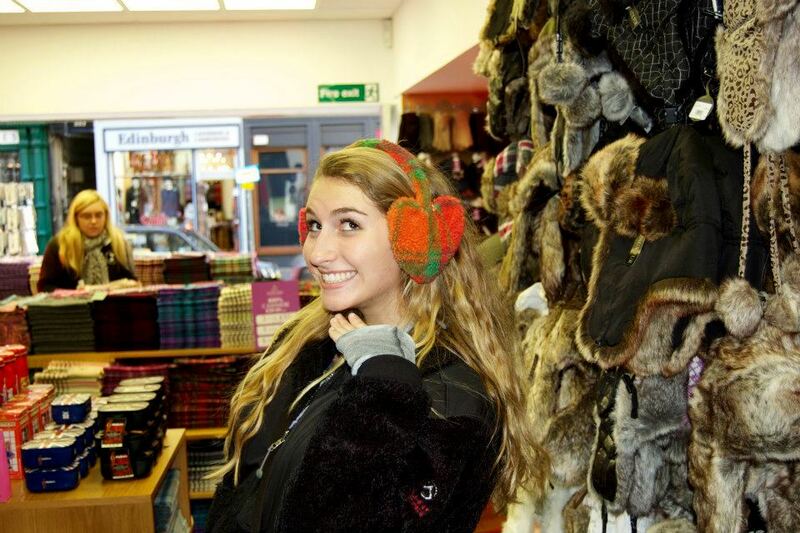 We had a good time browsing through all the stores, especially since going inside gave us a little warmth. 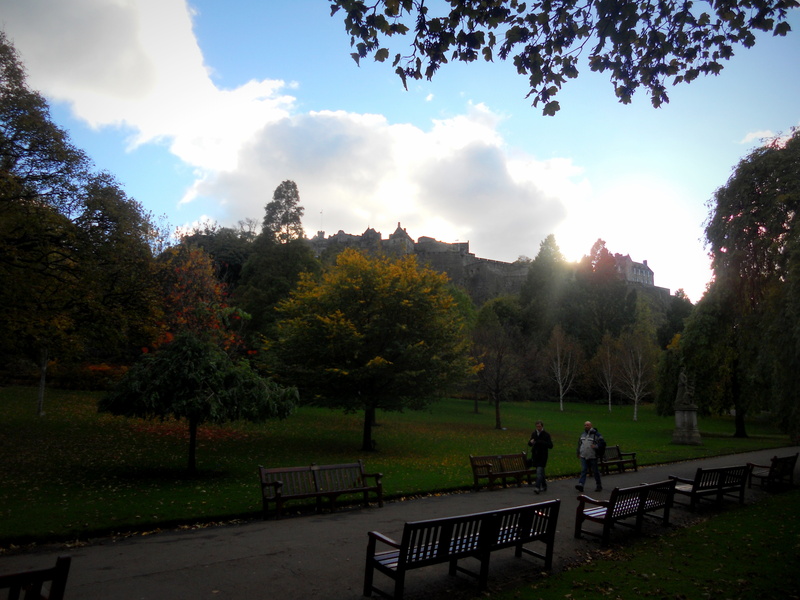 The two days we had in Scotland were beautiful and sunny, but REALLY COLD at the same time, especially with the wind blowing. 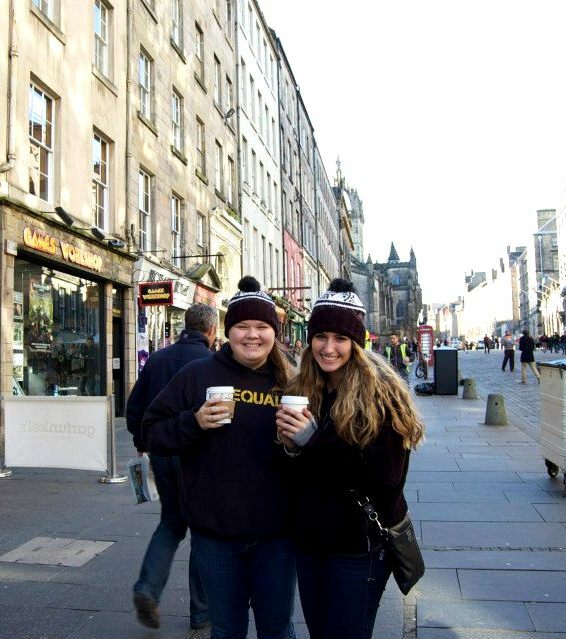 Raleigh and I decided to buy matching hats because we didn’t want our ears to freeze off! 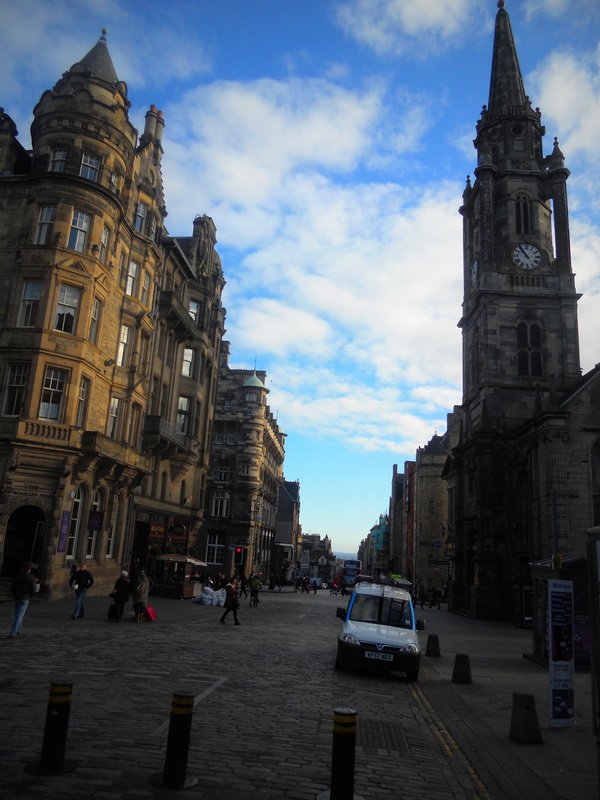 After walking around a bit, Raleigh, Kelly and I found the meeting point down Royal Mile where they offer a free three hour walking tour of the city. 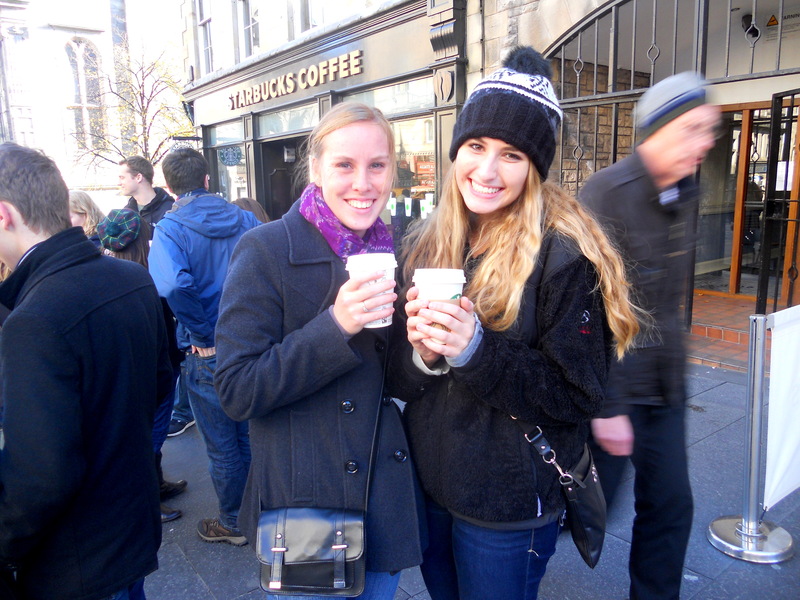 We signed up quickly, got some hot chocolate from Starbucks to warm us up, and joined a group to see some more of the city. 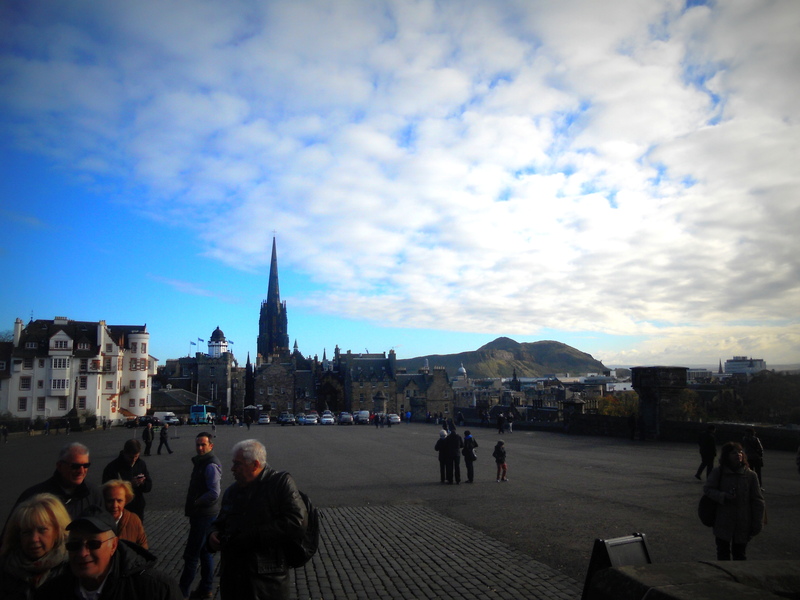 Our tour guide’s name was Julia and she was originally from Australia, but has been living in Scotland for about six years. 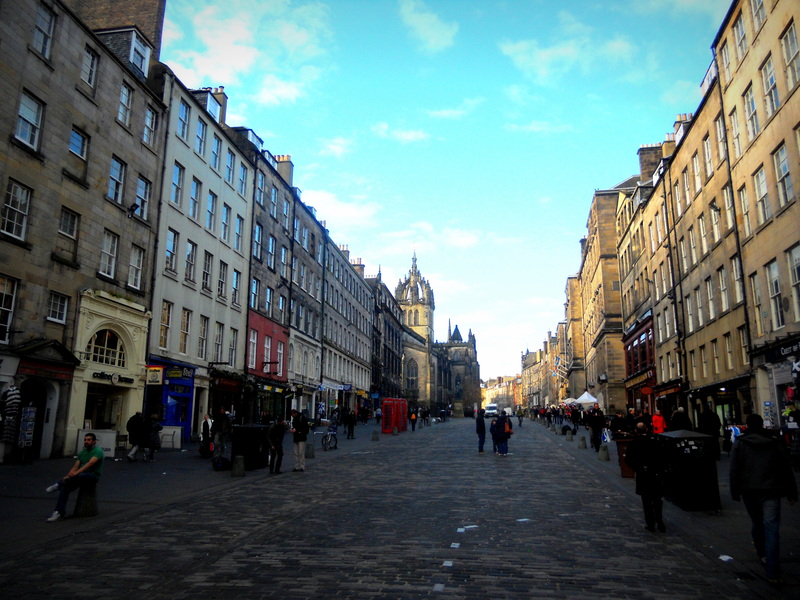 She took us to different places all really close to each other in the central part of Edinburgh, and pointed out places with historic value. She also told some really entertaining stories about brutal consequences for law-breaking back in the old days. 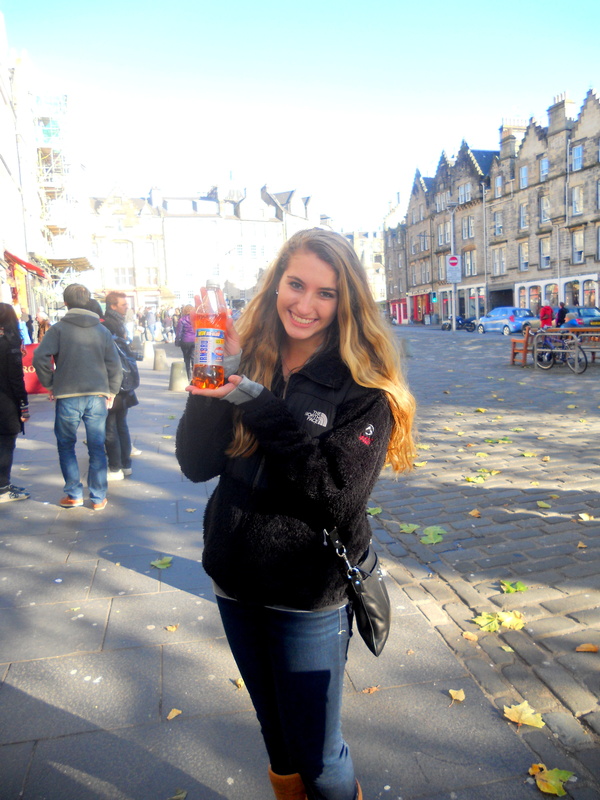 We had a 15 minute break in the middle of it, and she suggested to go buy the soft drink “Irn Bru.” It isan orange drinkk that I bought from a convenience store, and is Scotland’s number one soft drink… apparently selling more than Coke and Pepsi combined! I tried it with some pretty high expectations, but honestly it just tasted like cotton candy medicine and I ended up throwing it out after a few sips. I’m still glad I tried it though! 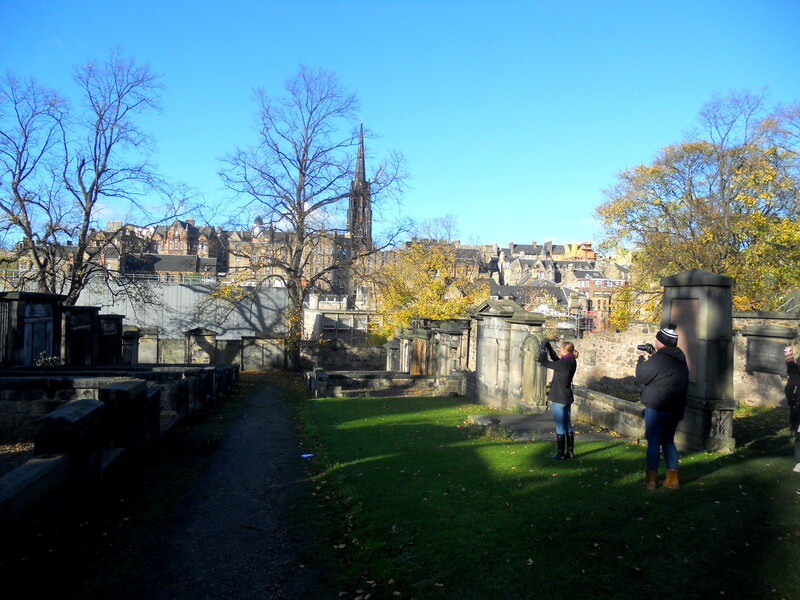 My favorite part of the tour was when Julia took us to Greyfriars Kirkyard (a cemetery) and gave us some history about it. 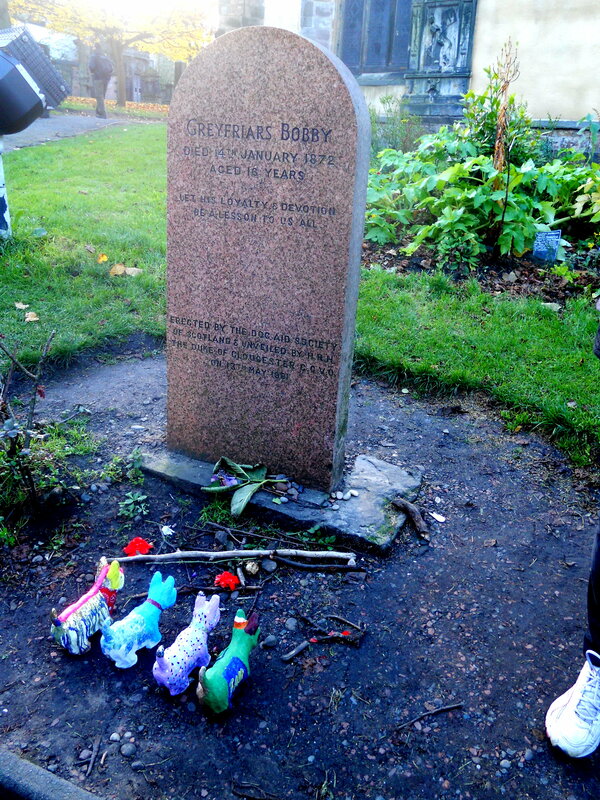 She told us a story about a dog named Bobby, who was owned by the graveyard’s night watchman (John Gray). They were inseperable for two years until the owner died, and left the dog all alone. 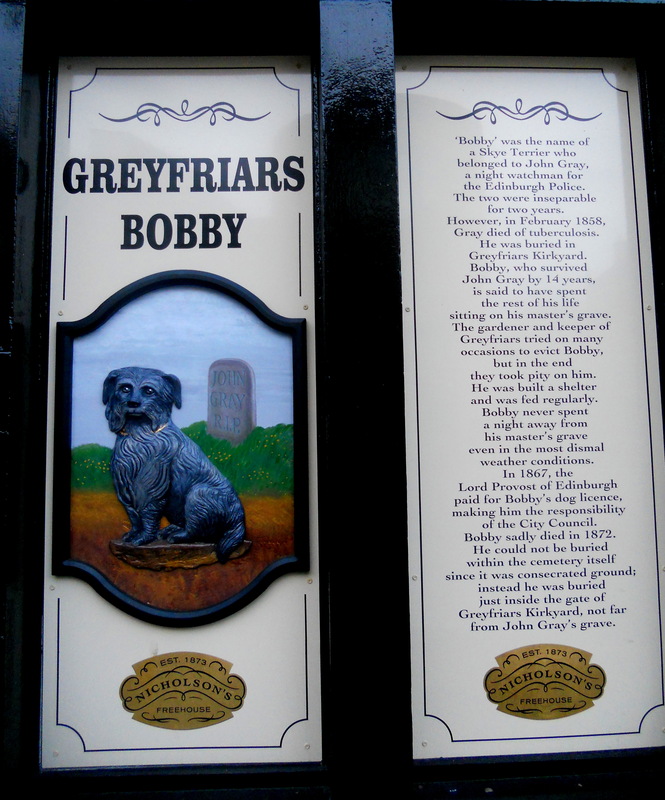 For 14 more years, Bobby returned to sit on his owner’s grave each day until the end of his life, and is now referred to as “the most loyal dog in the world.” His grave is right outside the graveyard and has a statue in front of a restaurant in his name. 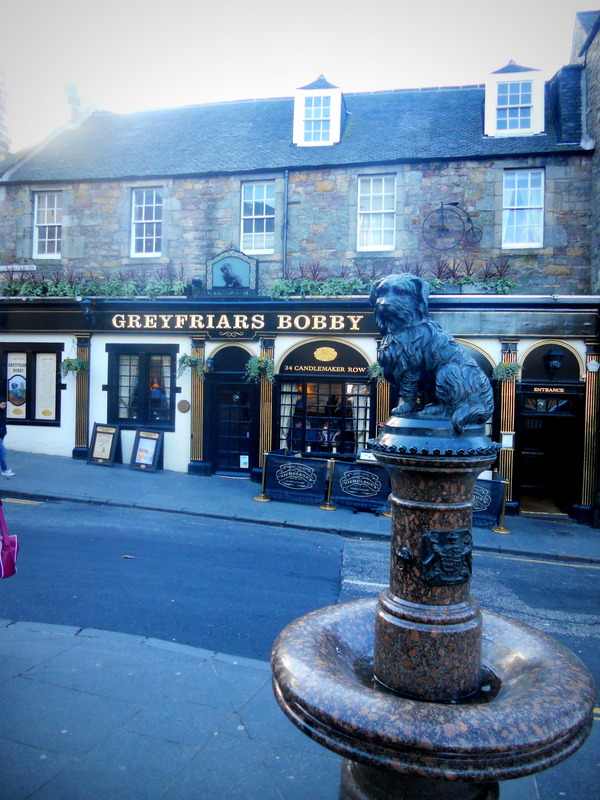 Greyfriar Bobby’s statue is the number one most photographed statue in Scotland! 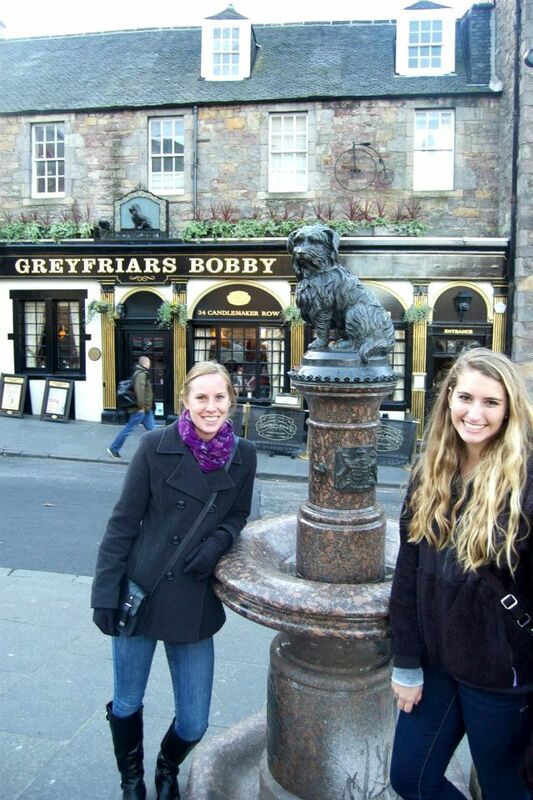 You can now add me to the list of the tons of people who have taken a picture with the adorable dog statue. It was such a heartbreaking story! 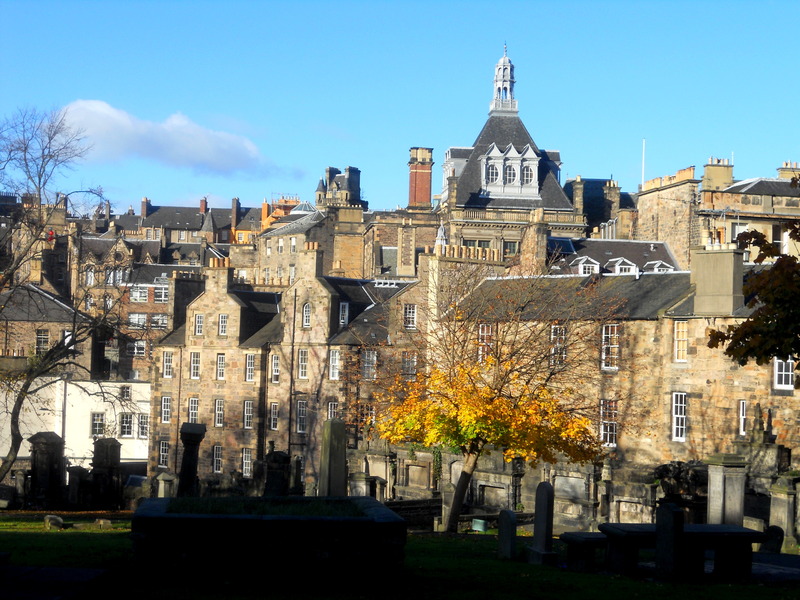 The tour ended at one of the center areas of the city called Princess Street Gardens, where we took a few more pictures, and continued walking on the other side of the city called New Town (our tour mainly consisted of walking around Old Town). 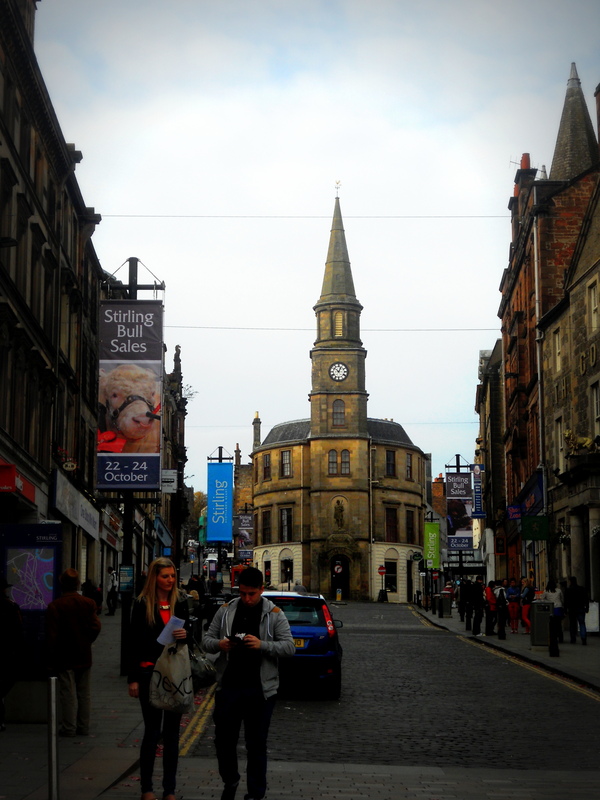 The main street in New Town is called Princess Street and was a lot more modernized compared to the streets by the castle in Old Town. There were tons of brand name stores, and we couldn’t help ourselves from taking a look in the massive Primark there (my favorite UK store, with cute and inexpensive clothes)! 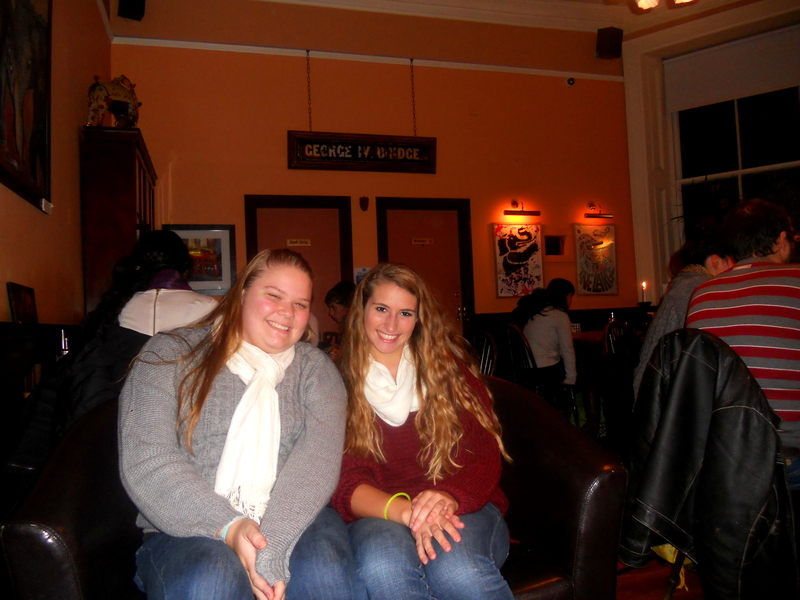 I ended up buying two scarves because it was getting even COLDER, and they were really cute. We got dinner at a little pub in New Town called The Black Rose which was really good. 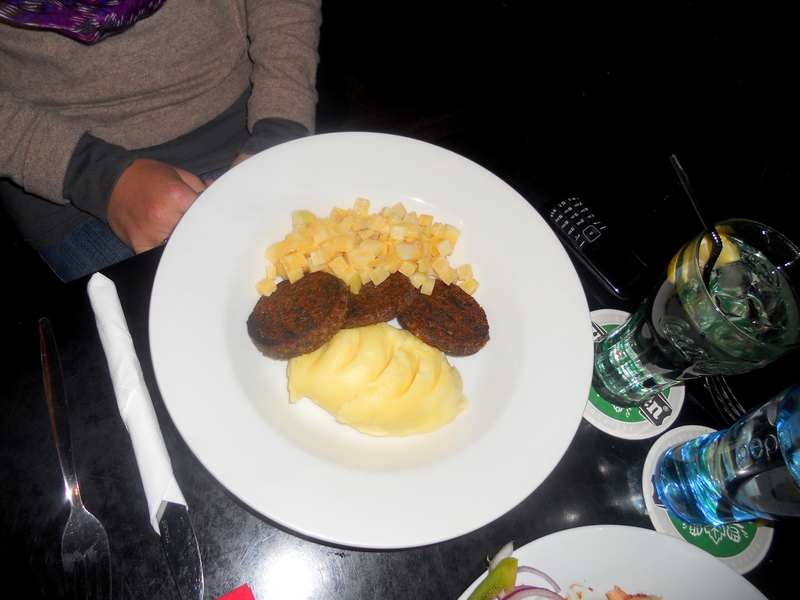 Kelly ordered Scotland’s traditional dish: Haggis, Neeps, and Tatties. Yes, the name makes it sound so weird! We learned that haggis is actually chopped up sheep organs mixed together with suet (other animal fat), oatmeal, and seasoning. Honestly, it looked as gross as it sounds actually. 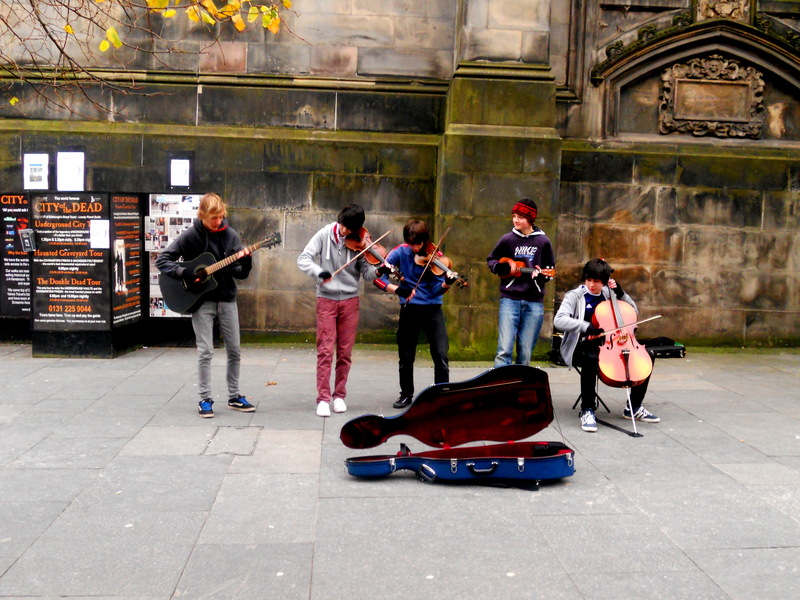 However, when in Scotland…… I actually tried it. It didn’t taste horrible, but I wasn’t a huge fan of the spices and stuff. Neeps and tatties are just weird ways of saying turnips and mashed potatoes! After dinner, we made our way back to the hostel right around sundown. It snowed a little bit on our walk, and we got some really pretty pictures of the city with the sun setting. 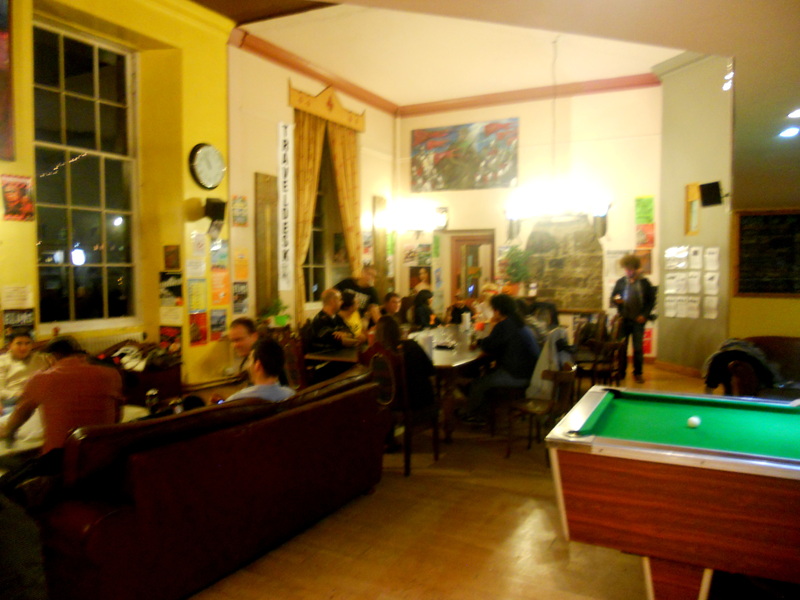 After a long, cold, exhausting first day of exploring, Raleigh, Kelly and I decided to hang out in the hostel’s main common area (a large room with a huge long table, couches, and a pool table) where a pumpkin carving contest was going on that night. We hung out for a little, and then went into the movie room which plays a movie each night at 9:00, and watched American Psycho. Once the movie was over, I literally passed out in my bed and called it a night. The next morning, we got up bright and early (8:30 AM!) 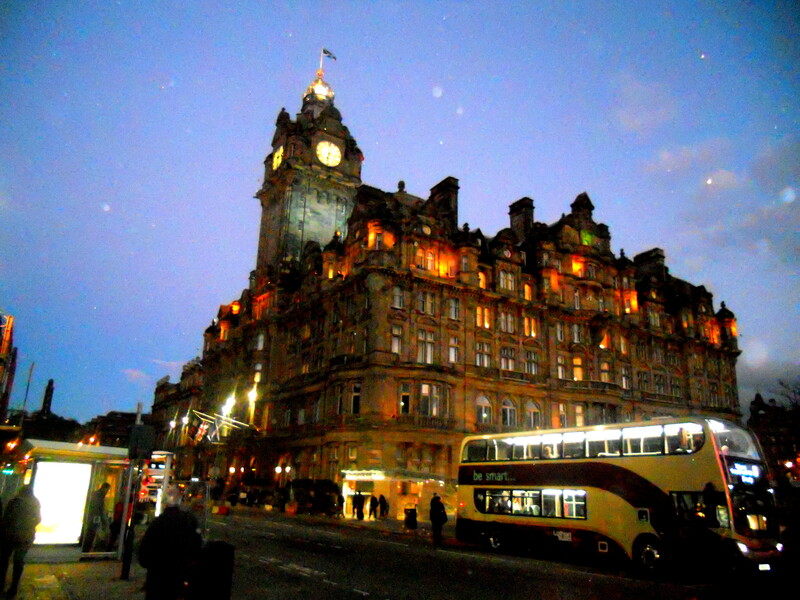 in hopes of taking a bus tour around other parts of Scotland for the day. 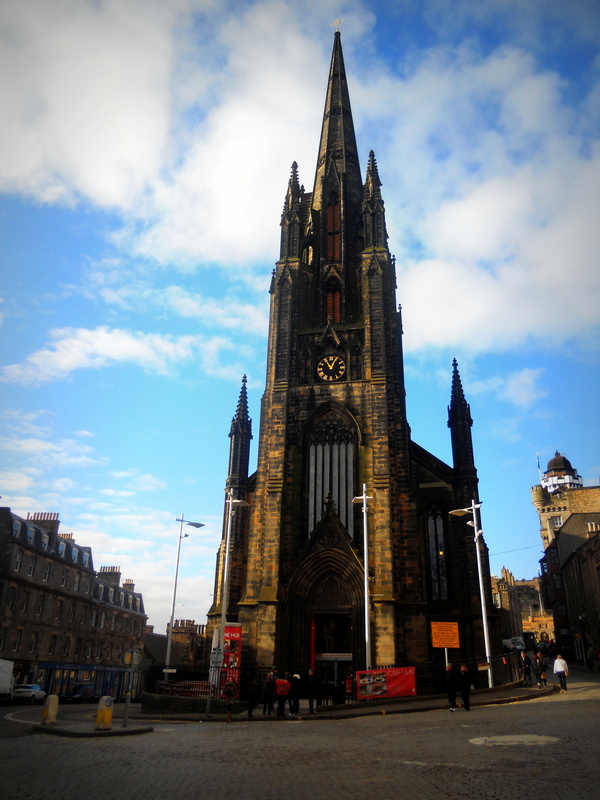 However, I made a call to the tour company and we quickly learned that there were no more openings for that day. Somewhat disappointed, we decided to find a place to eat breakfast and figure out an alternative plan for the day. We found a restaurant that served American style pancakes, so obviously I ordered them. That breakfast definitely made the start to the day a lot better! 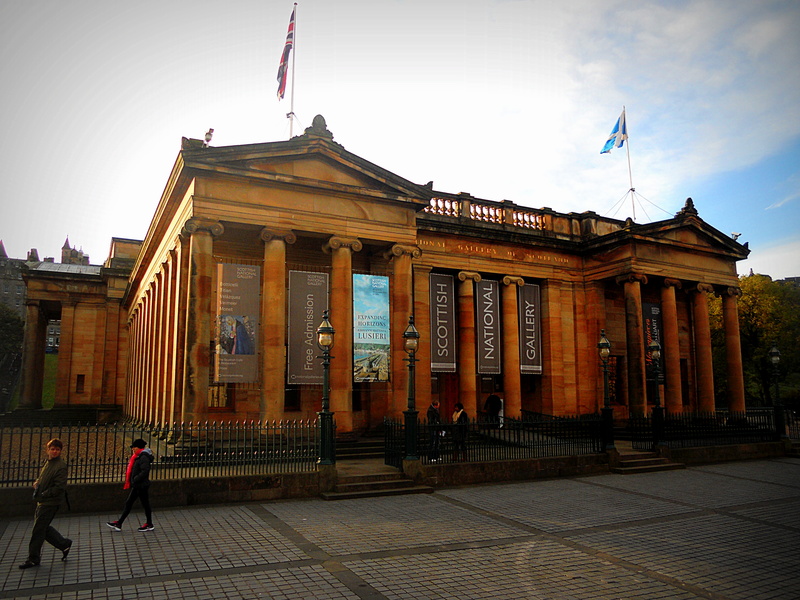 We walked around a bit more, took a short look into the National Portrait Museum, and then spontaneously went to the train station and bought a round trip ticket to the city of Stirling! 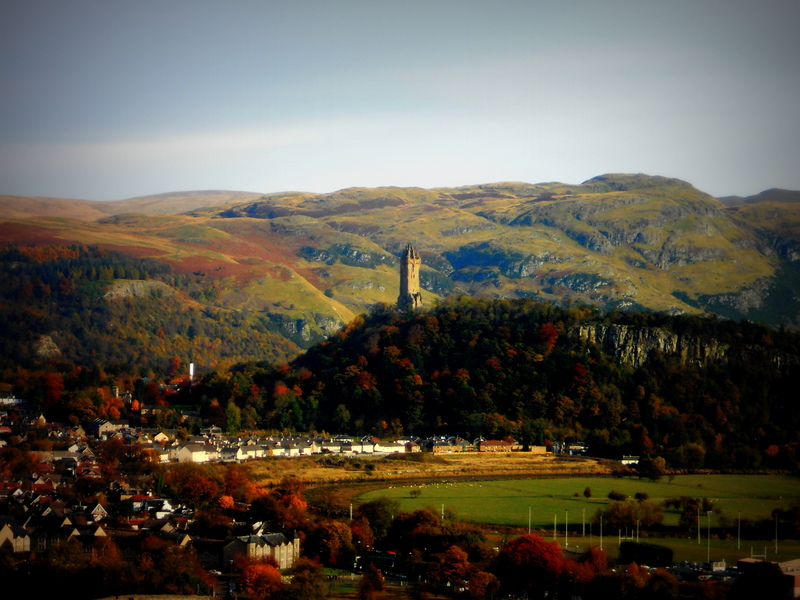 The train ride to Stirling was only 40 minutes, and we got off ready to explore some more. 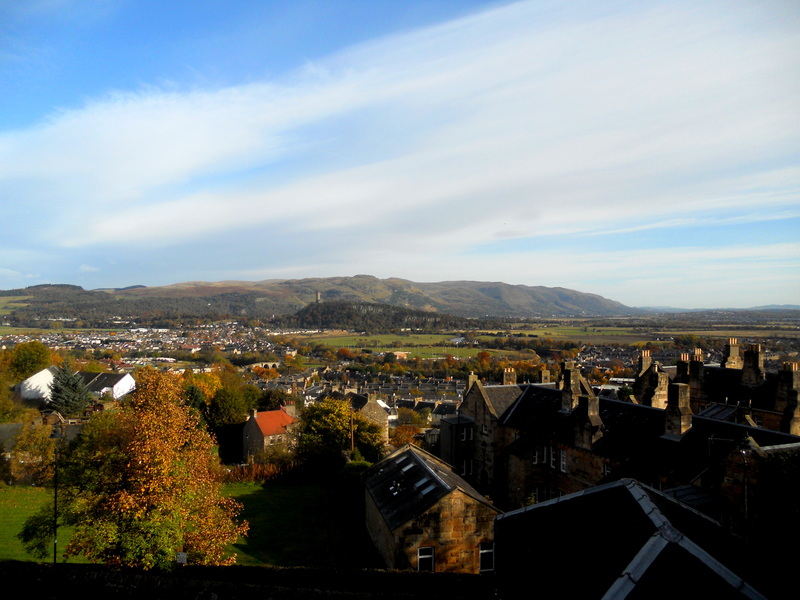 Like Edinburgh, the city of Stirling was also somewhat small. 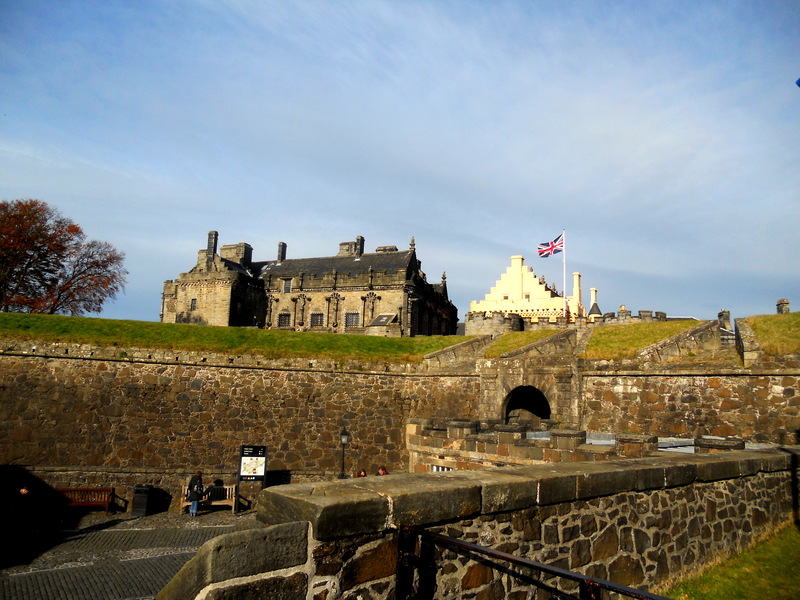 Our first stop was the Stirling Castle (you really can’t get enough of them in Scotland)! 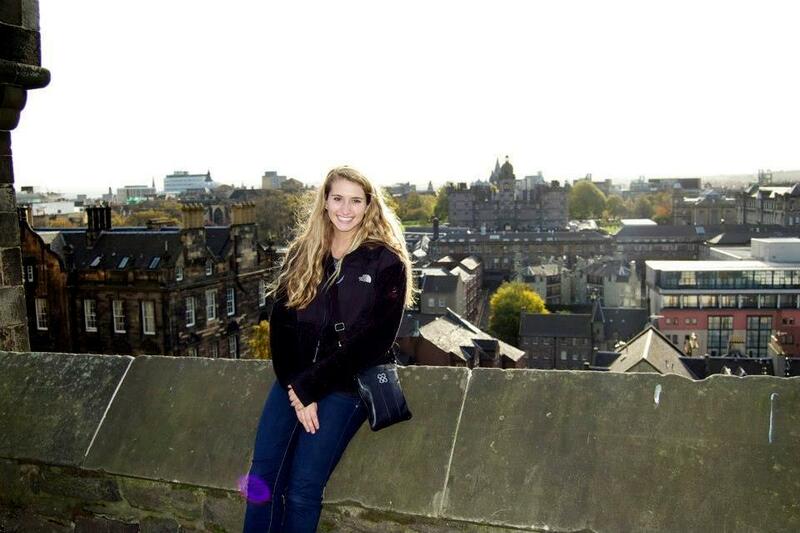 While this castle wasn’t quite as big, it definitely had a better view from the top. 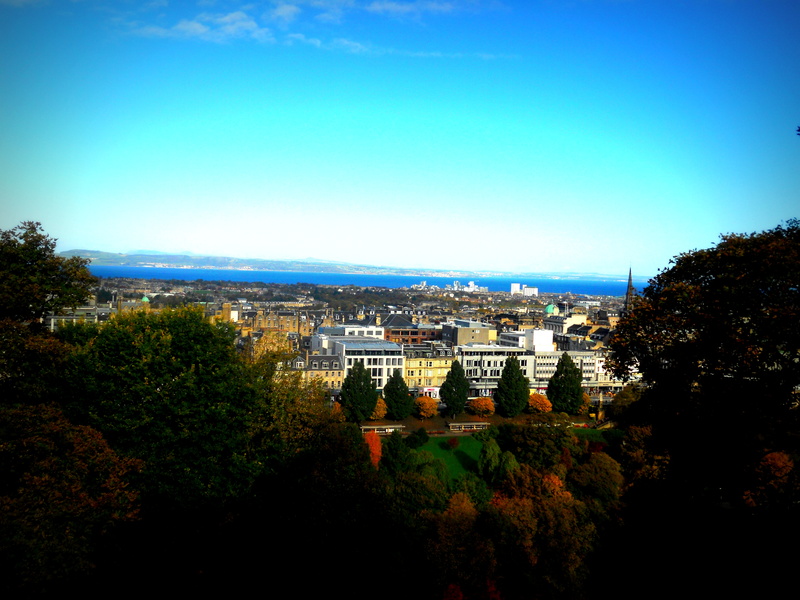 You could look out and see the city and surrounding towns for miles! That view was definitely one of the highlights of the trip! 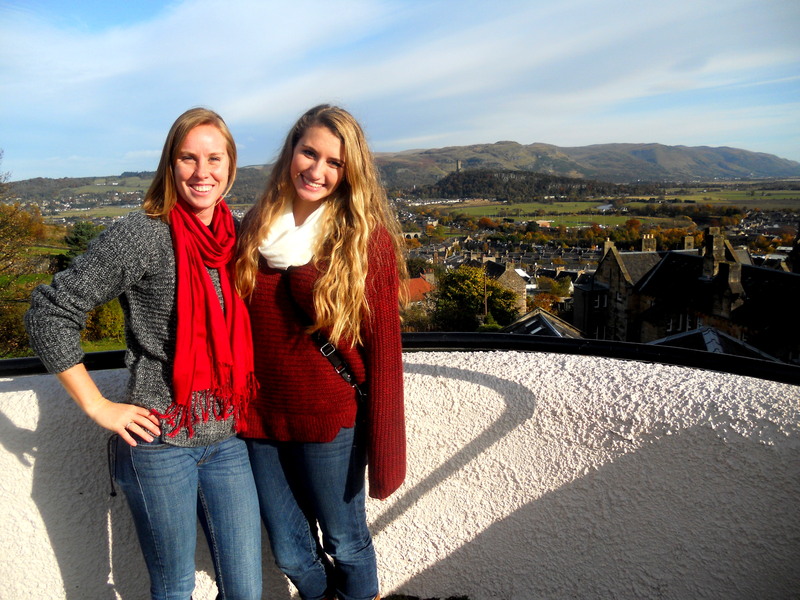 We walked around Stirling for the rest of the afternoon, taking pictures by a pretty cemetery, old buildings, and men in kilts. 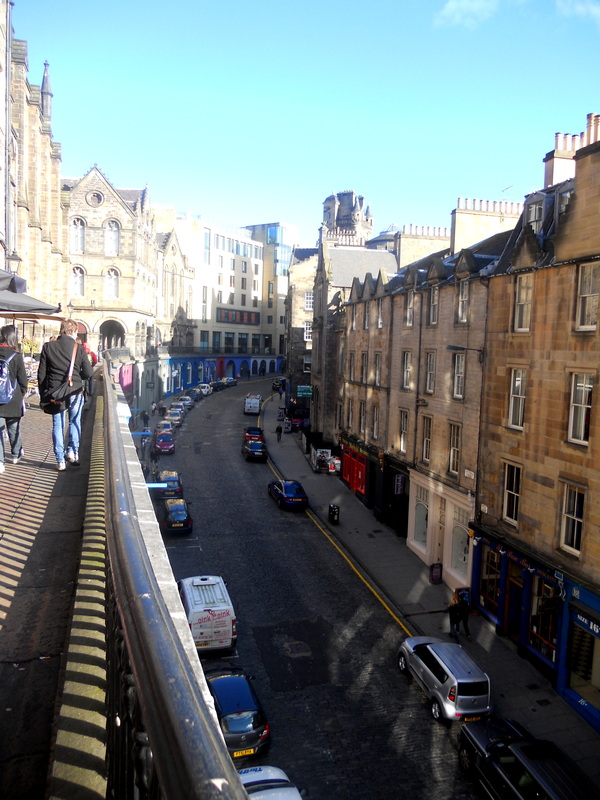 We also found the main street area with shops and a mini market place, where I sampled some delicious fudge. 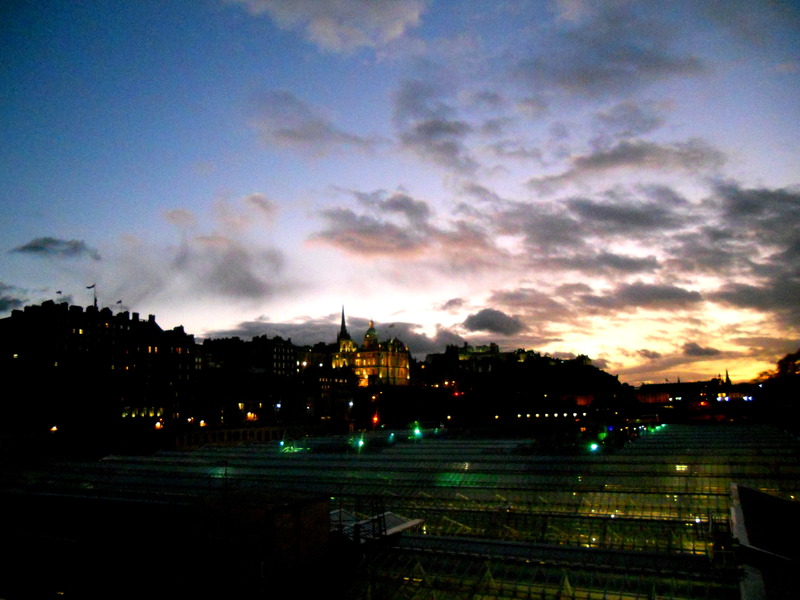 After a few hours, we were ready to get back to Edinburgh for the evening. That night I convinced Raleigh and Kelly to do a pub crawl with me… we heard of a cheap one for only 12 pounds and it seemed like a lot of fun. So quickly grabbed dinner at Subway (I know, so American of us), and found the meeting point for the pub crawl. 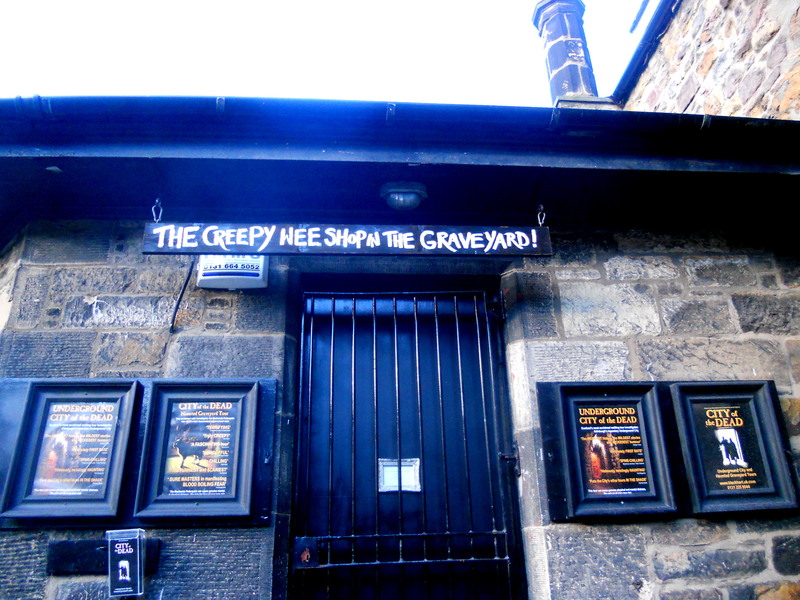 After being in line for five minutes, we found out that that particular night was a Halloween themed pub crawl and cost 24 pounds (that’s almost $40)! Being the broke college kids that we are, we had to back out of the pub crawl that night, and decided to get a nice dessert at a café since we had rushed dinner. 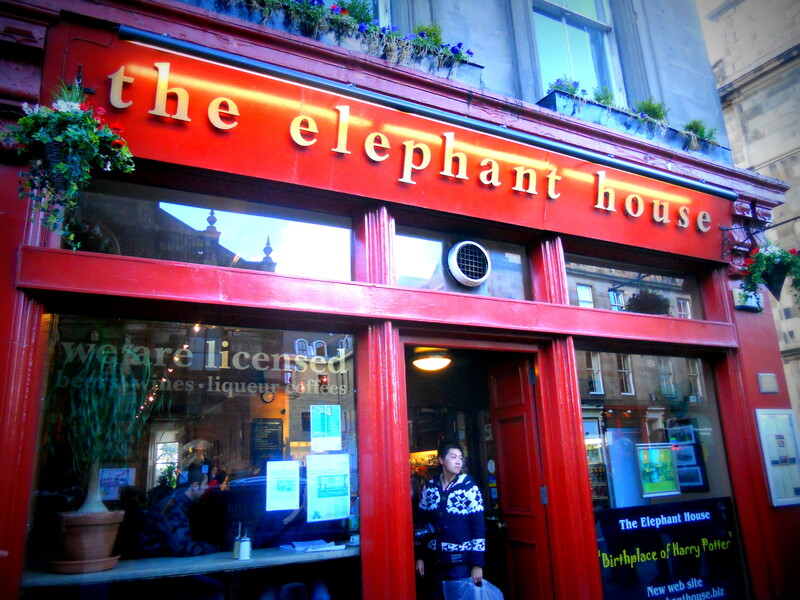 We ended up eating in The Elephant House, which was one of the places that Julia pointed out on our walking tour. 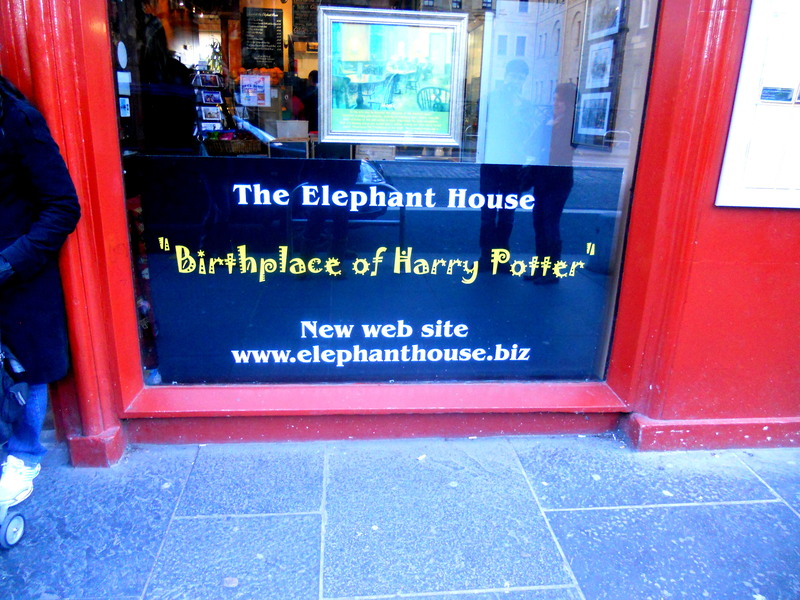 The Elephant House is actually where JK Rowling wrote Harry Potter! 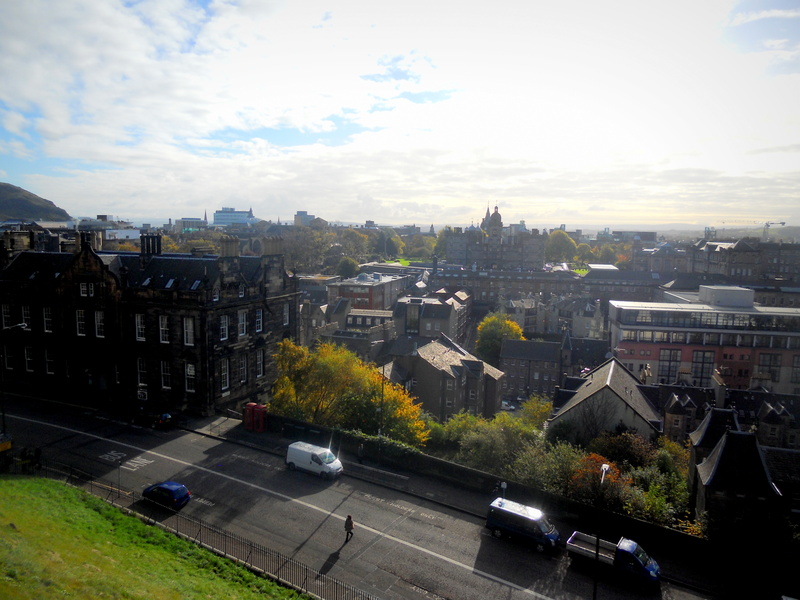 The restaurant/café actually looks over that cemetery I mentioned earlier, and JK Rowling would sit and look out at the beautiful view from the window. 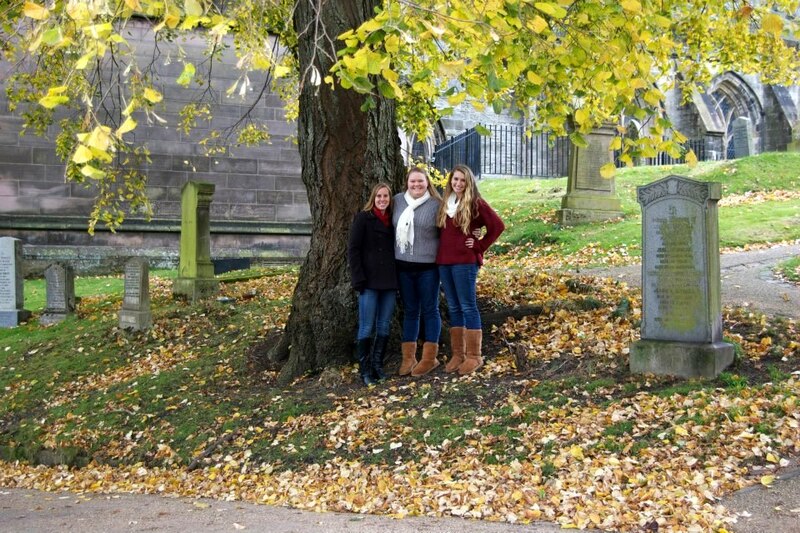 She even got some of the character’s names from gravestones (like Tom Riddell)! 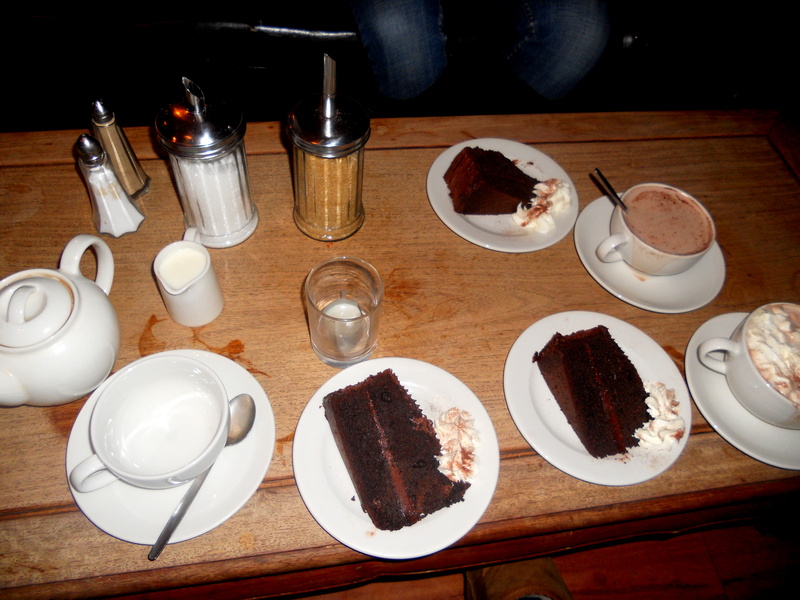 It was really cool to see the inside of the place and they definitely made sure people knew its significance… it had a big sign outside saying “The Birthplace of Harry Potter.” The three of us each ordered chocolate cake and hot chocolate/tea and had a lovely time sitting in the warmth of the cozy café. After dessert, we went back to the hostel to join in on movie night again, which happened to be Jackass 2, and finally went to sleep after another long day of adventure. 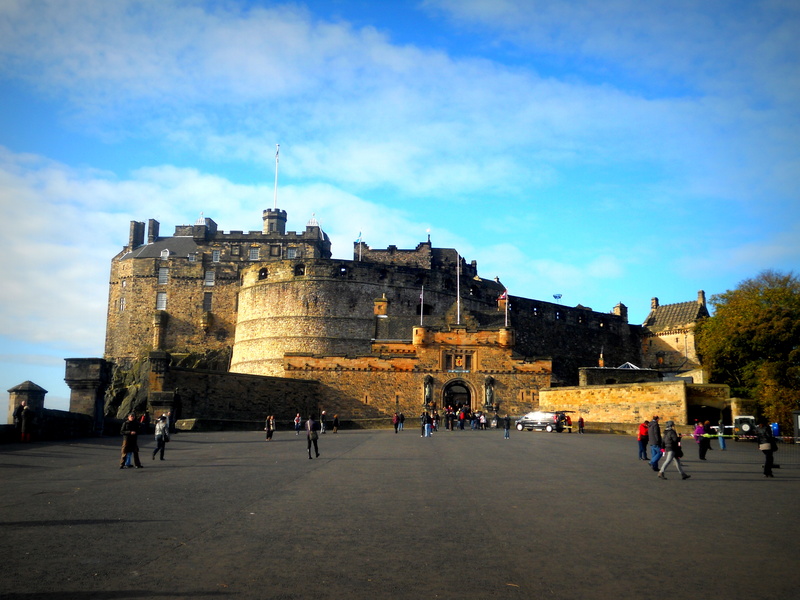 So that’s my trip to Scotland for you. 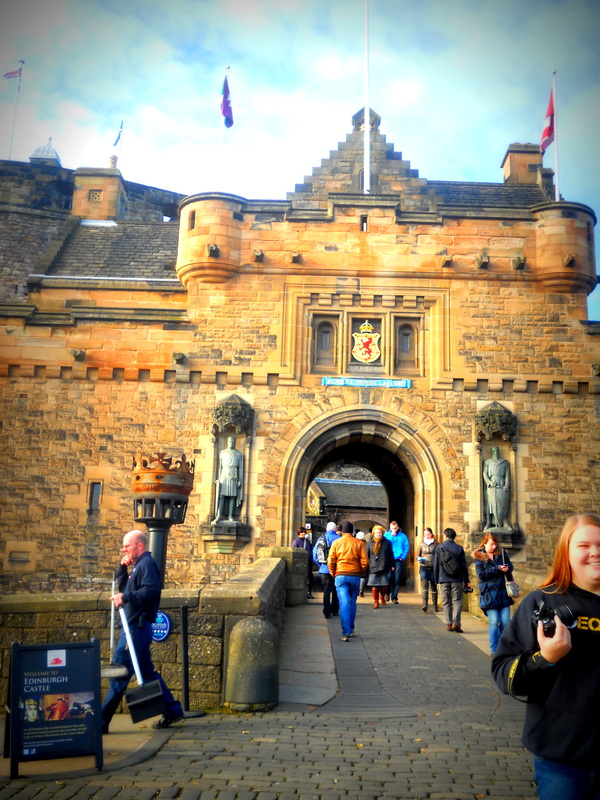 I know it was super long, but like I said in other posts, I want to remember as much as I can about my experience studying abroad! 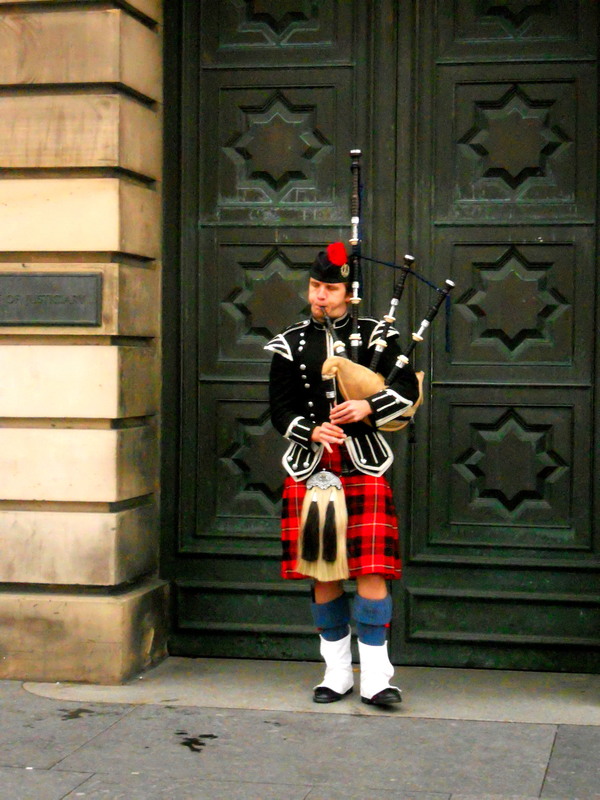 I have decided that I think I like listening to the Scottish accent even more than the English accent, which is actually a pretty big deal considering how much I love the English one (or accents in general). 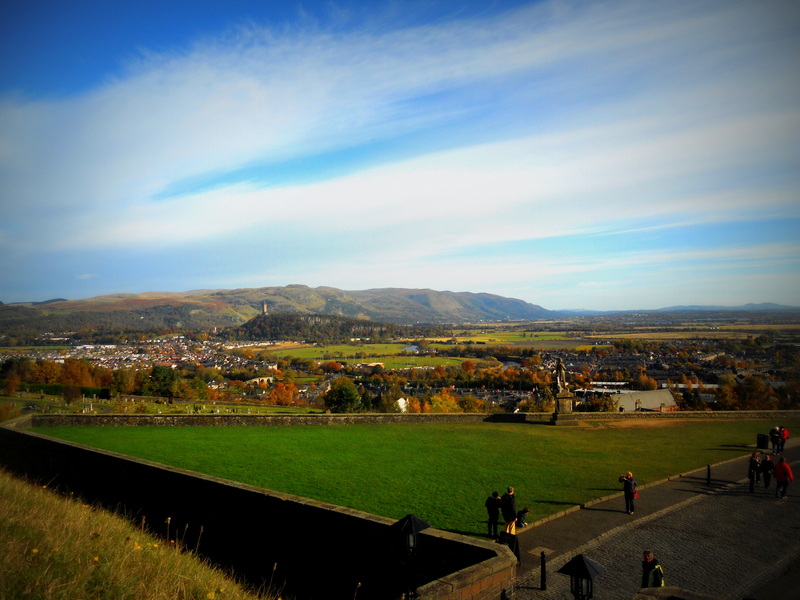 I’d love to travel back to Scotland someday to see more of the beautiful countryside and other popular places like Loch Ness (where the Loch Ness Monster, AKA Nessi, is supposed to have lived)! And if I ever get back there, I’ll make sure it’s during the summer time so I don’t almost freeze to death like this time! I’m now preparing for my reading week trip to Barcelona, Rome, and Dublin. 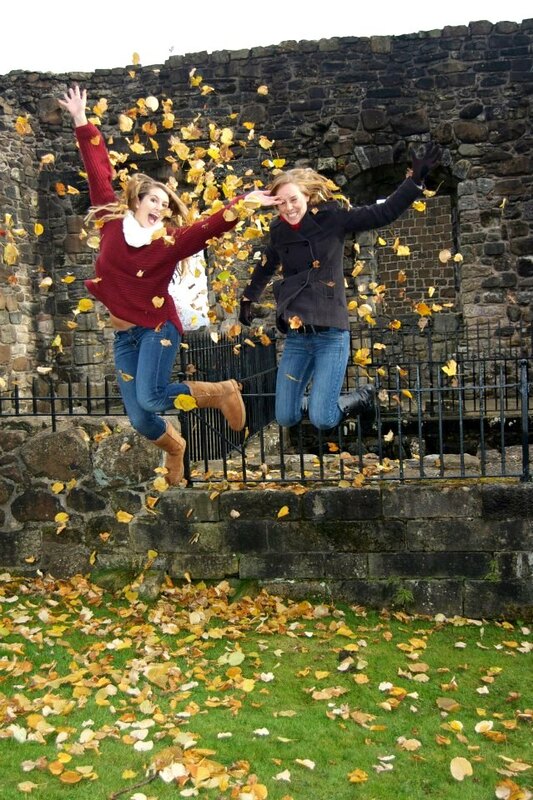 Can’t wait for some more adventures!